The Butcher and the Vegetarian written by local Seattleite, Tara Austen Weaver, is an entertaining account of a vegetarian's journey to restore her health by introducing animal protein into her diet. 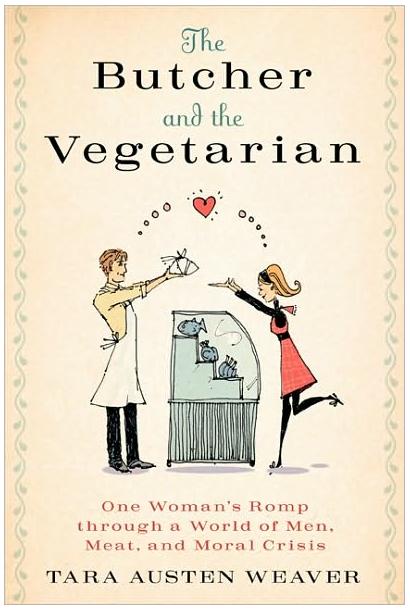 Having been raised a vegetarian, she apprehensively dips into the world of meat consumption and surprisingly finds connection to the animals raised for meat, and the people involved in the process of bringing the product to the consumer. A very good read that leaves one laughing and thinking about your values surrounding those delicious roasts, that crispy fried chicken and the beautifully grilled pork chops.